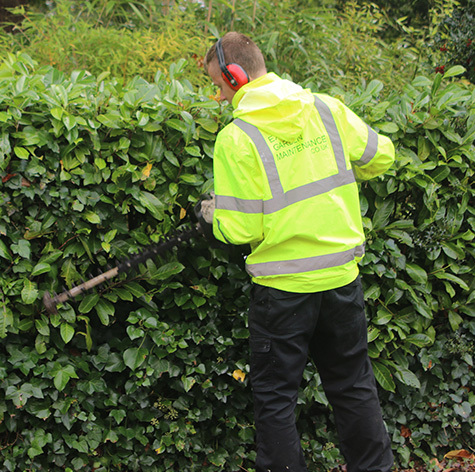 We provided our hedge trimming services for a customer in Exeter as their hedge was in much need of a tidy up. We were approached by a customer in Exeter who required our maintenance services to tidy up the hedge surrounding their garden. We were happy to accept the job and return the hedge to its former glory. As well as cutting the hedge, we cleared any mess from both inside the garden and on the footpath outside to ensure that everything was left even tidier than when we started. If you have a similar job that needs doing and are interested in enquiring about our services, don't hesitate to get in touch. Our team are always on hand to help and will happily answer any questions you might have. Expert hedge maintenance for a residential customer in Exeter.